The Kelley Blue Book brand is now in Canada. Cox Automotive Canada made the announcement on Tuesday, the first of two major moves from the company this week. “Kelley Blue Book is the leading provider of vehicle valuations in North America and we’re excited to announce its upcoming launch to our Canadian dealers, OEMs and lenders,” Cox Automotive Canada president Maria Soklis said in a news release. “It adds to our already strong and extensive line up of industry leading brands and services to better serve our clients and help shape the transformation of our industry into the future,” she said. On Thursday, Cox Automotive Canada said its Dealer.com platform is partnering with CarGurus, allowing Dealer.com clients to syndicate inventory to CarGurus.com. Added Diego Sanson, vice president of international business development at CarGurus, ““We’re excited to partner with Dealer.com to enable more dealers in Canada to list their inventory on CarGurus. 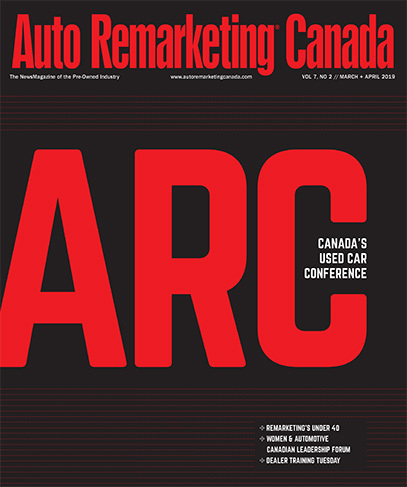 “As the fastest growing online automotive marketplace in Canada among our nearest competitors [per Comscore data], CarGurus offers an efficient customer acquisition channel that helps dealers connect with ready-to-buy shoppers and sell their vehicles,” he added.